We've pushed multi-account support which was one of our most requested features. It also allows for fast account switching with one click. Brand new logo and an updated UI. We've reworked the inbox to be clearer and added a new navigation setup for the upcoming multi-account support. See delivered, bounce or open events for email's sent from Pingly. 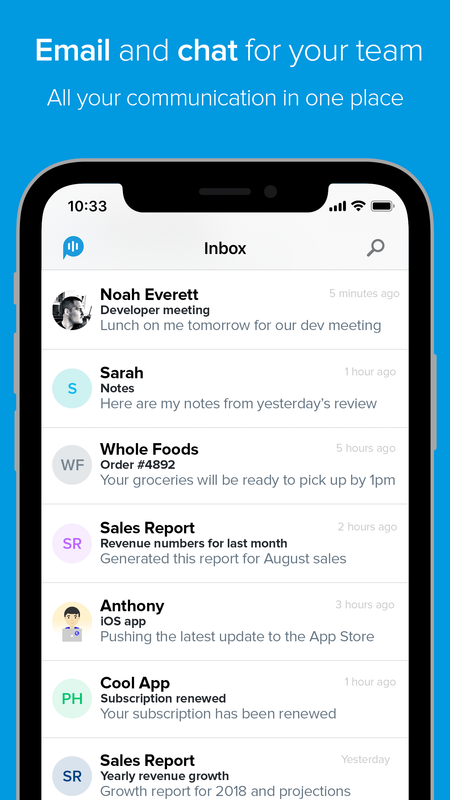 Avatar's will show a colored indicator displaying the status of the email and this will hook into Pingly's in-app and browser notifications. New paid plans (Plus accounts) which feature open notifications on sent emails, unlimited search, 10GB per user and more. Brand new, re-built from the ground up iOS app released! The app is completely native (written in Swift) for performance and deep integration benefits. Updated homepage now using a responsive layout. Added Command + Enter keyboard shortcut to send an email reply. This matches the compose keyboard shortcut too. A bug on certain attachment types in Channels caused the channel to not load properly. Any email conversation thread with more than 4 messages is now collapsed to show the first and last two messages in the conversation. Popup notification when you are @mentioned in a channel. Also plays a notification sound. Complete overhaul and relaunch of Pingly ⚡️ Email and chat for your team. Setup email for your business or side-project in minutes for free.